What Happens When You Owe a Bank Money & Open Another Bank Account? When you owe a bank money, you may have a hard time opening up another account. Depending on how much money you owe the bank, and how long you let the debt go unpaid, your difficulty can range from moderate to severe. You may even have difficulty being able to find a bank that will allow you to open an account at all. If you currently owe a bank money, you will probably have severe difficulties when trying to open another account. Confronting your debt problems is an excellent first steps towards remedying this issue. If you go to the bank where you previously held the delinquent account, the bank may allow you to settle the debt by paying the balance you owe. Then, you may open a new account or, depending on the length of time you let the balance go delinquent and the amount of the balance, you may be able to continue using your account. This varies from bank to bank. According to Bank of America, if you pay the balance on your closed account, they will allow you to open a new account with them. If you have an account with Bank of America and they have not yet closed the account, simply pay the negative balance and continue using the account as normal. If you have an account closed due to a negative balance, many banks will place you into ChexSystems. ChexSystems is a report on each individual that banks can look at that informs them of your negative banking history. According to Bankrate.com, negative information stays on your ChexSystems report for five years and it can prevent you from being able to open up a checking account at most banks. Even if you are in ChexSystems, some banks will allow you to open up a starter account. A starter account is virtually the same as a regular checking account, but there are some limitations. For example, your checks may take longer to clear and some funds may take longer to become available to you. Can You Be Denied a Savings Account? Can Banks Close Accounts for Insufficient Funds? Another option you may want to consider is a prepaid debit card. If you want to make sure you do not use more money than you have in your account, or end up having any more bad marks on your ChexSystems report, a prepaid debit card may be a good option. 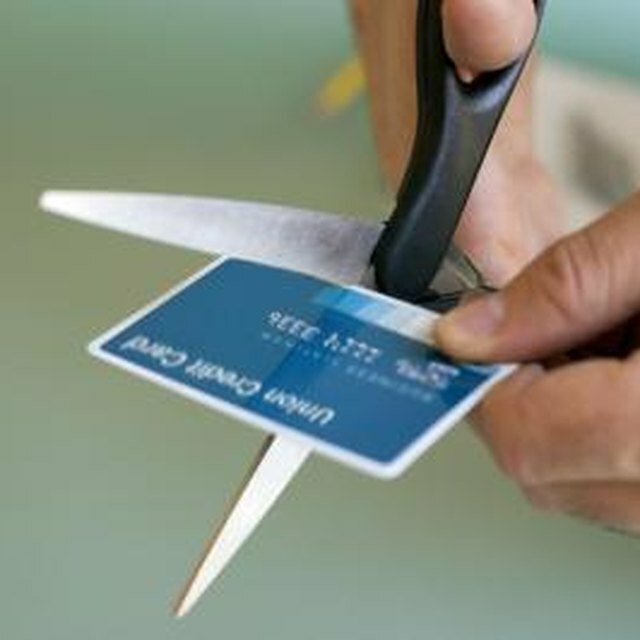 With a prepaid debit card, you load your funds onto your card and then use the card as you would a normal debit card. You can use your prepaid card anywhere Visa is accepted, as long as there are funds on it. You can pay bills with it, you can have your pay directly deposited onto it and there is no limited balance or overdraft fees. Regardless of whether you are able to open another account without paying off the previous balance, it is probably best to go ahead and pay the balance so it is no longer a debt, which can cause problems later. E.M. Rawes is a professional writer specializing in business, finance, mathematical and social sciences topics. She completed her studies at the University of Maryland, where she earned her Bachelor of Science. During her time working in workforce management and as a financial analyst, she reinforced her business and financial know-how.